UPDATED: Wed., Sept. 12, 2018, 9:59 p.m.
A man sleeping in a recycling bin in downtown Spokane was injured early Wednesday when the bin was dumped into a recycling truck. City officials say the man, who was sleeping in a large blue recycling bin at 837 W. First Ave., was dumped into a Sunshine Disposal and Recycling truck at about 5 a.m. unbeknownst to the driver, who called 911 after he saw him crawling out from the rear of the truck. Anderson said the man was transported to a local hospital for treatment. The extent of his injuries is unknown. 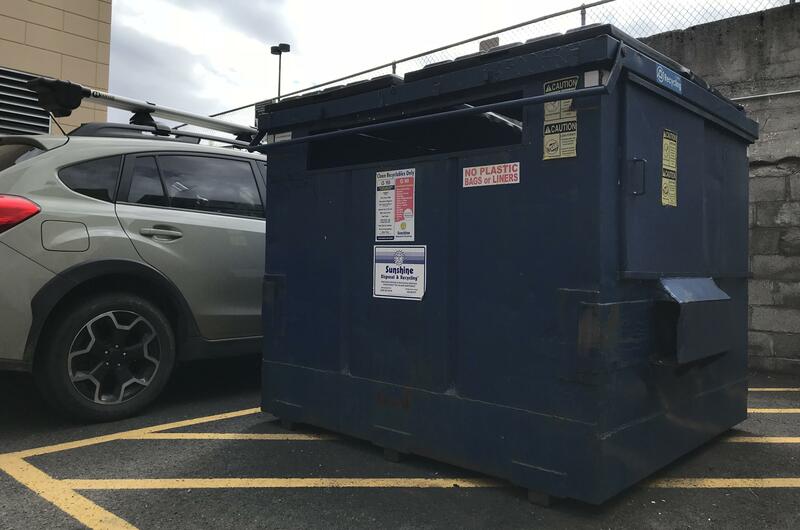 Tim Lannigan, co-owner of Neato Burrito, which uses the recycling bin and nearby trash bin that sit at the end of a parking lot between the restaurant and a Davenport Hotel parking garage, was surprised Wednesday morning to learn anyone would sleep in the area. He said it’s the first time he’s heard of homeless people congregating there overnight. “No, never,” he said, adding that bin was mostly filled with cardboard. “And I’m usually the one who takes the trash out in the morning. Several attempts to reach a Sunshine Disposal spokesperson went unanswered Wednesday morning. The private trash and recycling company operates mostly outside of city limits in the county and Spokane Valley, where it’s headquartered. Published: Sept. 12, 2018, 2:13 p.m. Updated: Sept. 12, 2018, 9:59 p.m.